Jamaica’s Reggae Boys have climbed five spots to be the top-ranked country in the Caribbean Football Union rankings released Thursday, November 23, 2017. Jamaica climbed to 54th in the world rankings while previous CFU leaders Haiti fell one place to 57th. 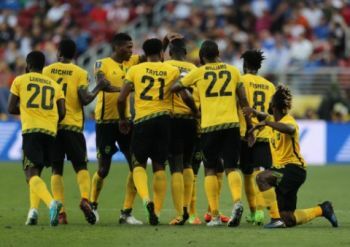 Jamaica, however, played no international games over the last month, with their last fixture being a 2-0 defeat to Canada at the BMO Field in Toronto last September. The Caribbean neighbours are two of only four CFU members who are ranked in the FIFA top 100. Curacao are ranked 84th while Trinidad and Tobago are ranked 89th. Curacao climbed five places on the heels of their 2-1 win over Qatar at the Jassim Bin Hamad Stadium in Doha earlier this month. T&T, meanwhile, dropped six places and are now fourth in the CFU. Overall, St. Kitts and Nevis are fifth in CFU and 113th in the FIFA rankings while Suriname are sixth but 128th in the world. Antigua (140), Grenada (160), Dominican Republic (162), Guyana (164) and Puerto Rico (165) complete the top 12 teams in the CFU. The VI remains in 205th on the World Rankings.